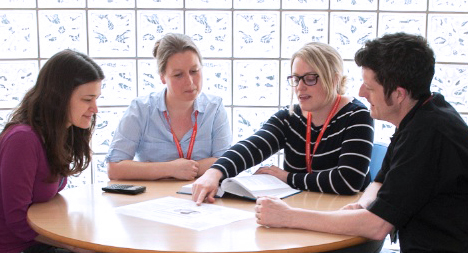 In collaboration with the NIHR/Wellcome Trust Cambridge CRF and Trust’s Work Experience team, the NIHR Cambridge BRC Patient and Public Involvement (PPI) team have launched a Young People in Research Programme. Twenty sixth-formers (from six local colleges) joined in October and have enjoyed a tour of the CRF with research sister Caroline McMahon as she gave an overview and tour of the facility. The young people are now reviewing the new children’s pages for the CRF website and will be taking part in various patient and public involvement/engagement activities. They will be meeting researchers from a wide range of backgrounds and be introduced to staff representing the wider research team. There will also be a day of research inspired activities on 16th February here at the Cambridge Biomedical Campus for the group. 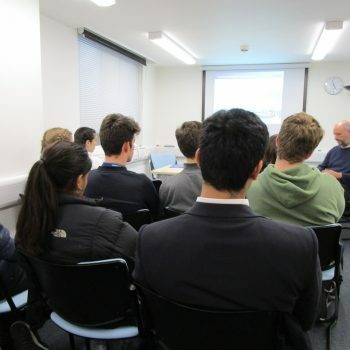 Some of our participants have a keen interest in the medical/ research field and could be future staff at the Cambridge Biomedical Research Campus. This great opportunity gives an insight into the world of health research, enabling young people to ask questions and to give us their opinions. The programme runs until June 2018, for more information or to get involved, contact Anna Ellis PPI Coordinator or phone 01223 254620.